Having helped Milan Youth Soccer Club in Michigan grow exponentially in his time there - including guiding them through a rebrand to become Southeast Michigan Storm - Craig MacMorland is now embarking on a new challenge with De Anza Force in San Jose, California. Craig tells YEScoach ID Director Chris Andrew how he made it in America. I actually started playing football pretty late on - I was around 9 when a family friend got me involved in a new boys club he was starting up. I have never looked back since. At the age of 12 I started playing with my local pro youth development squad, Ayr United. Unfortunately, during the ages of 15 and 16 I had constant injury problems. Despite being forced to the sidelines, I still attended every practice, all the games and did as much as I could to keep playing but the majority of my time was spent watching from the side. It gave me a completely different perspective of the game. This led to me coaching at local primary schools and after school clubs. The injury at the time was a blessing in disguise - I’m not sure if I would have ever considered coaching. My father was a great coach but was still able to be my father, a rare attribute in parent coaches. I was fortunate to always have a solid standard of coaching for each sport I played. The combination of all these things played a part in me becoming a coach and me continuing to coach now over 10 years later. My coaching philosophy is always evolving, which I feel is extremely important. If you always do what you do, you’ll always get what you get. Sure, you could be great but you can always be better. The game is always changing, you have to take that into account. With my current position my main focus is development of players. Looking to create a motivational and mastery climate where players can learn the game and skills necessary to make them confident players and people. Encouraging the players to want to develop their own skills and develop as a team. This allows players to be creative and challenge themselves - for them to not be scared to make mistakes and to see mistakes as an opportunity to learn. One thing that will always be a cornerstone in my coaching philosophy is that I expect 100% - this is something that every player is capable of giving. Being the best you can be. Attitude is a huge part of learning and is much more important to me than winning or scoring a goal. Many people have tunnel vision when it comes to coaching that all coaches do is improve athletes. It is important to improve who I work with as players and as a person. It goes well beyond the game, the difference that can be made to individuals, teams and even communities is unbelievable. 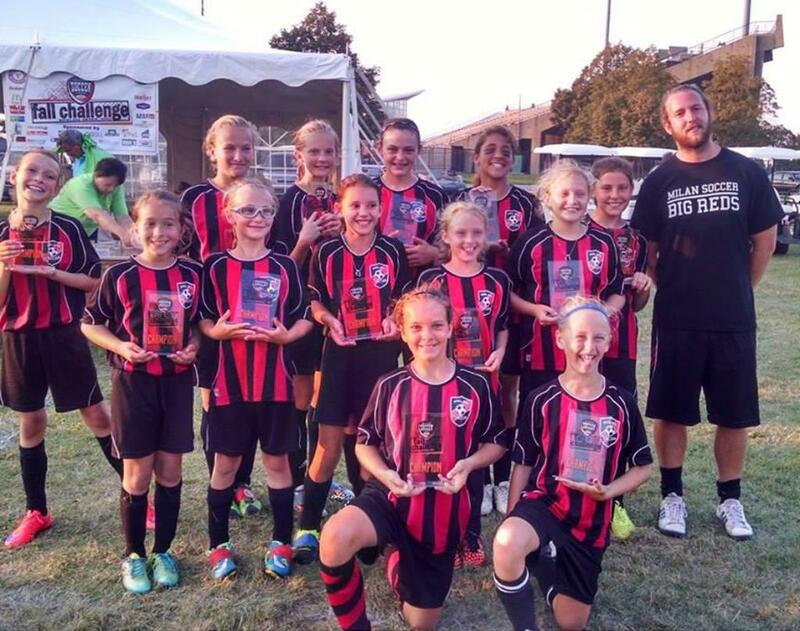 I was working with Milan Youth Soccer Club based in Michigan. I started off as the head coach for the four travel teams. I also was the coach educator for the developmental league there. During my time at the club I grew immensely as a coach and gained valuable experience of how a club was run in the states. In the few years being there I was able to implement a coaching curriculum for the developmental teams at the club. The developmental league doubled in size. I was appointed as the Director of Coaching for the club. 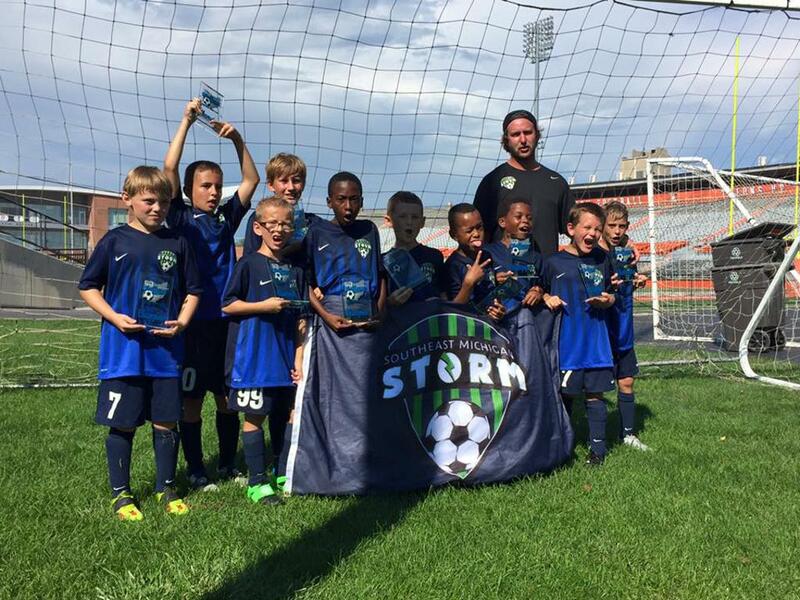 The travel program went through a rebrand and became Southeast Michigan Storm. There is a very large soccer community in Michigan, with a lot of competitive clubs in that area. During my time at the club we went from four travel teams to having nine - it was an excellent achievement for everyone involved. I was very fortunate to have such great support from the board of directors and local community. When leaving the club I was awarded the Board of Directors award - it was a huge honor. I am now about to start a new role with De Anza Force in San Jose, California. It is a remarkable opportunity for me to work at such a distinguished club alongside such experienced coaches. What were your goals when you first joined your club? In all honesty I really didn’t have anything in mind with the exception of getting better as a coach and improving the players and teams I worked with. Even now, reflecting on my time it is unbelievable how much was achieved in such a short space of time. It definitely allowed me to see what I was capable of achieving if I was given the right opportunity and was around the right kind of people. I was extremely fortunate to have help and support from YESsoccer and a remarkable Board of Directors at the club. Why did you choose to join YESsoccer? I actually took a break from coaching for a year and ended up working as an engineer. It was a well-paid job with great opportunities for the future. Doing the job I was miserable and eventually left the position knowing I wanted to pursue coaching as a full-time career. 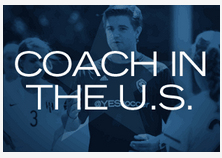 A close friend suggested I should go and coach over in the States, and I had heard a lot of good things about YESsoccer and the opportunities they had. 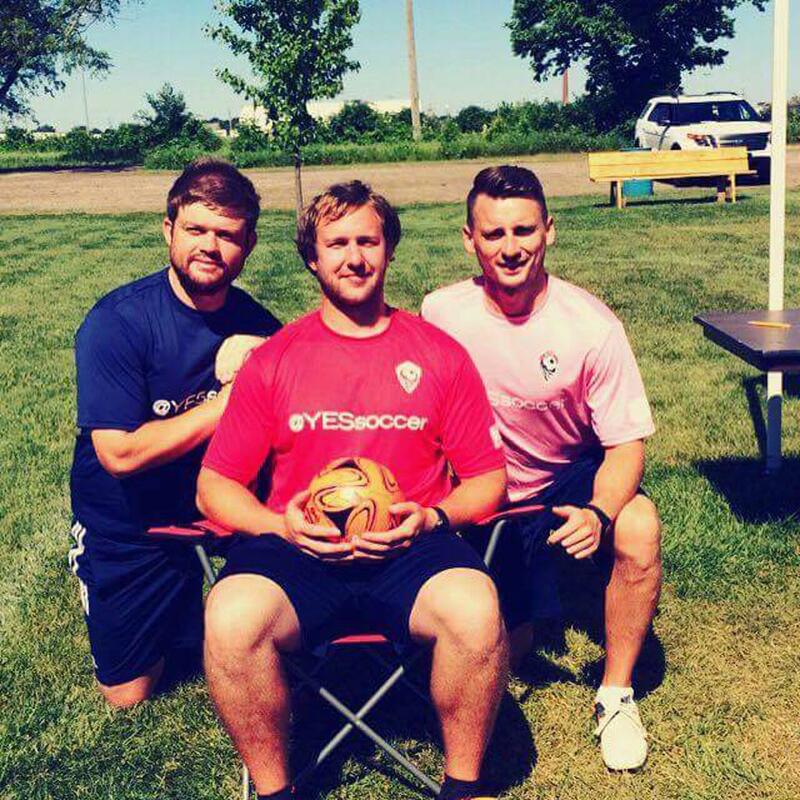 The thing I was most impressed with in regards to YESsoccer was the potential to develop yourself as a coach with the company. That alone spoke volumes to me and I knew I would be in good hands. It is a company that actually understands coaching and provides opportunities for players and coaches to develop themselves. 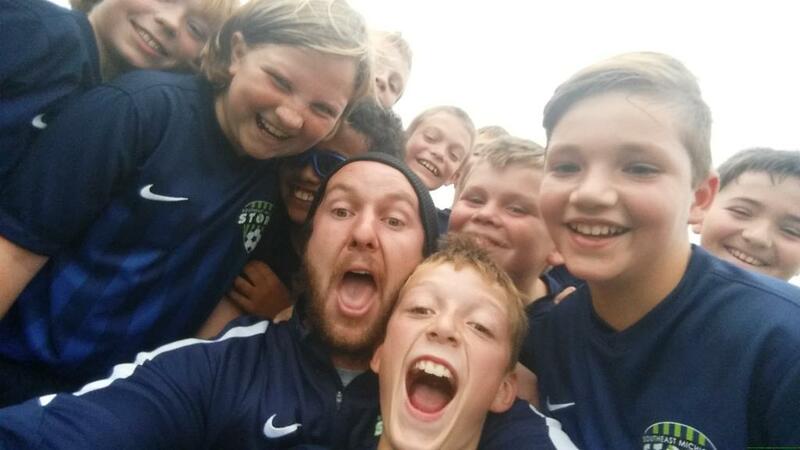 How has your coaching career developed since your arrival in the US with YESsoccer? I am very fortunate that back home in Scotland the coaching education system is of a high standard and well respected throughout the football world. My main problem was the lack of opportunities to actually go and put it in to use. I think I have spent more time on the field coaching in the last few years in the states than I did all my years back home. This alone makes you better. Although it is great to log those hours, it is vital you continue your education too. The great thing about YESsoccer is the network of coaches who can offer advice or are in a similar position to you. They have so many people who have knowledge of what course would help you or even just advice from their own experiences. Stuart Greer was a wealth of knowledge for me when changes were happening at the club. I had never been in a situation of a club growing like that. His support and advice was always beneficial. YESsoccer has also been great in regards to my personal development. I have been given opportunities to complete courses during my time in the US. Even now they have been very understanding and actually encouraged me to complete my Masters in Sports Coaching and Performance Analysis as I work with them. I would definitely recommend YESsoccer to any coach who is looking to improve themselves and gain valuable experience as a coach. They provide you with all the tools you need to go and make yourself better. Particularly in the US, there are so many opportunities to be out on the field coaching and doing what you love - this is something which is difficult to be able to do back in the UK but is something that is vital for becoming a better coach. What is unique about you as a coach? I think that alone is the answer, you need to be unique. It is important to have your own personality when coaching, everything you do or say it has to reflect your character and beliefs. You have to have a quality about you, don’t be just be a cover band. The difficult thing about it is there is no perfect coach model - it’s more about knowing what you do well and making sure that’s what you focus on. Connecting with players is a major strength of mine - my year working as an engineer vastly improved my man management skills which is something that is essential in coaching. Without a doubt there are three people in my life that have helped shape me as the coach and man I am today. Firstly, my father (Harry) - he is always learning and has an unbelievable knowledge on so many things. He is always my go-to for advice on anything. My dad has always told me ‘whatever you are doing, do it to the best of your ability’. This is something my brother (Michael) certainly puts into practice and has been a huge influence on me. I’ve never met someone that works as hard as him, because of that he can turn his hand to anything. Another huge part of my coaching is personality. I will never forget being on a coaching course in the US and I was being assessed at the time. Afterwards the Tutor brought everyone in and gave me some feedback, He said ‘That has been the first person I saw today smile and laugh when he was coaching it genuinely looked like he was enjoying himself out there’. I put this down to my uncle Alex’s influence. My uncle is without a doubt the funniest man I know. He always has a smile on his face and a great story ready for you. Just like the complexity of coaching all these different elements come together to make my own coaching style. If someone were observing you as a coach, how would they describe you? It totally depends on the situation. During a game they would probably say I don’t coach at all. I let my players play and speak to them when they come off for a sub or at half time. During a game they have so much going through their heads already - let them make the decisions! At practice I can only be described as a maniac. I am obsessively enthusiastic and expect a high tempo. It could be showing a demonstration, stepping in as a defender instead of a cone being there or questioning a player on why they did something - to help gain an understanding of what they think and to help learn the way they do.